To level up theatre activity on the campus, the office roped in a city based Theatre Organization to train students on different aspects of Theatre production, for example: Script Writing, Acting, Set Design, Light Designing, Set Designing, Costume etc. 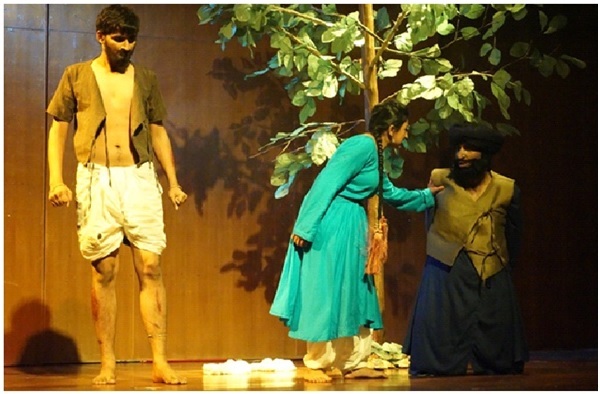 The initiative has helped students to get real professional experience of theatre production. Raashi Mann was their first production. Raashi Mann was aimed to portray a moral short story in Hindi by some of the most excellent actors. 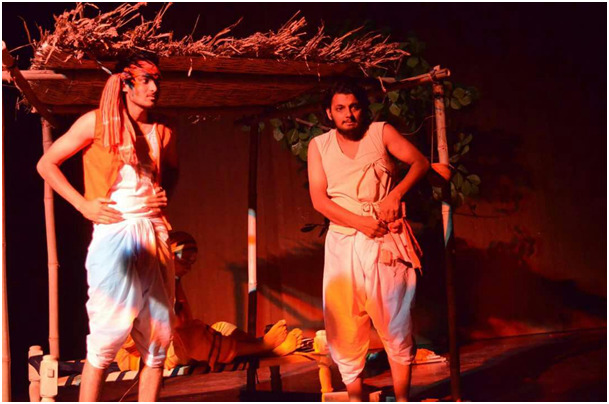 The play was well-versed and contained some of the best scenes of Chintan Pandya’s storyline. The act left people thinking entertained and definitely amazed. Adapted from Ryunosuke Akutagawa’s short stories in Japanese, the story portrayed the feelings of a woman cutting through the different genres of thriller, drama, suspense, comedy and romance. The story rotated around the life of a husband and wife who get strayed in a dense jungle with a wild bandit who plays with their lives. What happens in the end is something that can be labeled hypnotic. The story and the actors were able to keep the play a riveting suspense and yet manage to put across an important social message. The production is running its shows under the banner of Fanatika in which students are participating as professional artists. Project Umang was a program run by students of PDPU, aiming to provide education to underprivileged kids of labor colony in Raisan village. Project Umang 2.0 was an attempt to mutually learn through teaching process started in January 2016. A group of volunteers from PDPU started to teach major subjects like English, Science and Social Studies to 6th standard students of Raisan Government Primary School in coordination with school Principal and subject teachers. 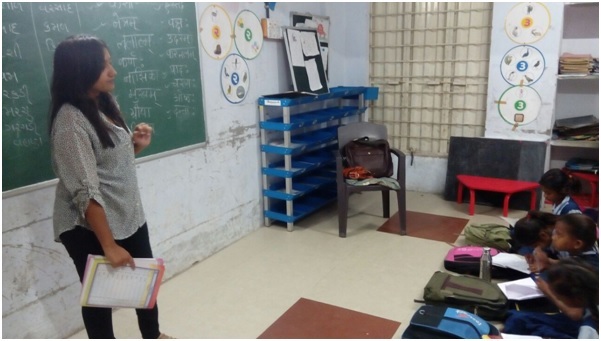 Student volunteers took 3 lectures in a week, teaching and experimenting with the different modules of learning to supplement the education provided at the Government school for a better understanding of complex topics. Team Umang also volunteered in preparing a cultural event on 26th January 2016. 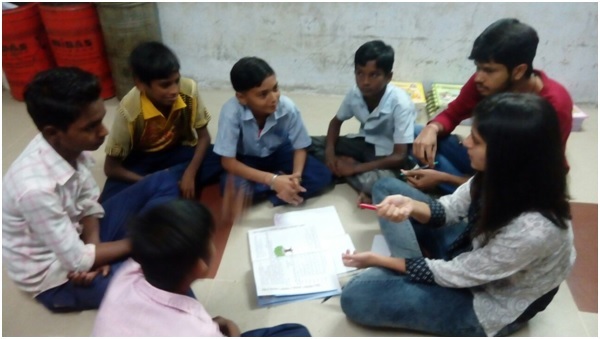 Taking their experience of Raisan school, This Year, from 17th October 2016 Project Umang has started working with students of the Valad Primary School. With the guidance of the school principal, and with the assistance of school teachers, 10 volunteers of team Umang started taking free tuition of underprivileged students in school. Volunteers teach 35 students in total from grade, 5th to 8th grade. Each grade is handled by two volunteers where students learn mathematics, basic English, Science and Co-curricular activities. These are hour long classes run 6 days a week. This module was set-up to develop a better rapport between students and volunteers. This program aims at improving the academic results of the students with help of creative modules and teaching methods. The subjects of this program are fixed after interacting with school teachers and students to effectively work upon the areas which they feel essential. Shiksha Story is a platform to develop skills of students by 360 degrees, an initiative taken by Office of Student Activities, Involvement and Leadership (OSAIL). Shiksha Story’s speaker of session talks and demonstrates on the topics which would help students to develop their skills and choose their career path. Shiksha Story in Year 2016-2017 organized two sessions. The first session on “Art of Anchoring” was organized on 7th February, 2017. 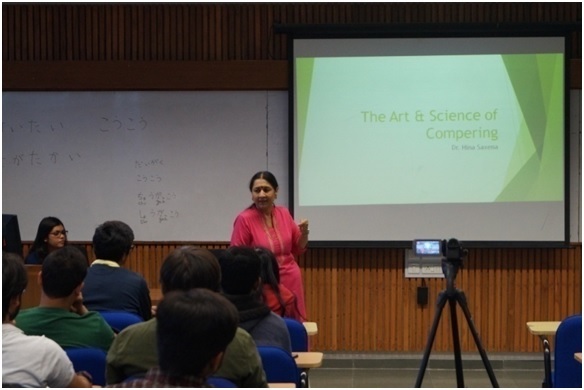 The session was conducted by Dr. Hina Saxena - A Voice Performer and compere, She has compered innumerable shows Including inaugural functions of Vibrant Gujarat. She has also lent her voice to audio visual media including educational films, AIR features, documentaries, commercials, AIR & DDK productions and for other private channels too. As a proficient dubbing artist, she has dubbed several Gujarati Films, T.V Serials and Ads. In the session by Dr. Hina Saxena participants were overwhelmed by the discussion in session and knowledge that they gained. The Second Session on “Brand Matters” was organized on 22nd March, 2017 by Mr. Sanjay Chakraborty. 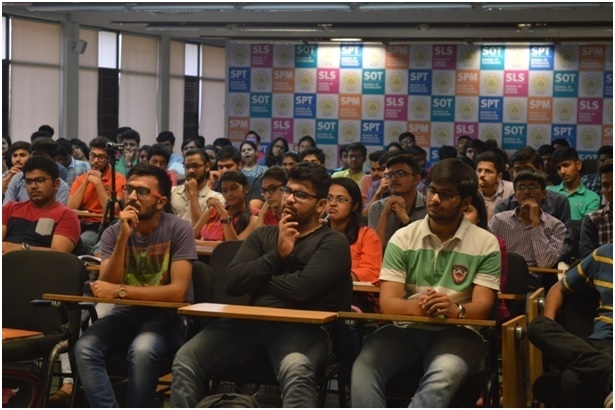 The main motive of session was to boost the students regarding market and various new methods of marketing through branding. Brand name is an important part to market a product. On the basis of the sales, production etc. of the ﬁrm or a company is decided. Hence, it is important for the younger generation who are supposed to be the entrepreneurs in future to be aware of it and have a comprehensive knowledge about brands. The session started time and the lecture theatre was absolutely full with students. Mr. Sanjay Chakraborty talked a lot of things starting from a simple product to how that product can gain value and can be recognized through its brand name by the actual and potential consumers. Brands hold great meaning and value for both the buyer and the seller. Brands are centered on what the seller promises to deliver to its customers and the consumer's expectations of a particular product.